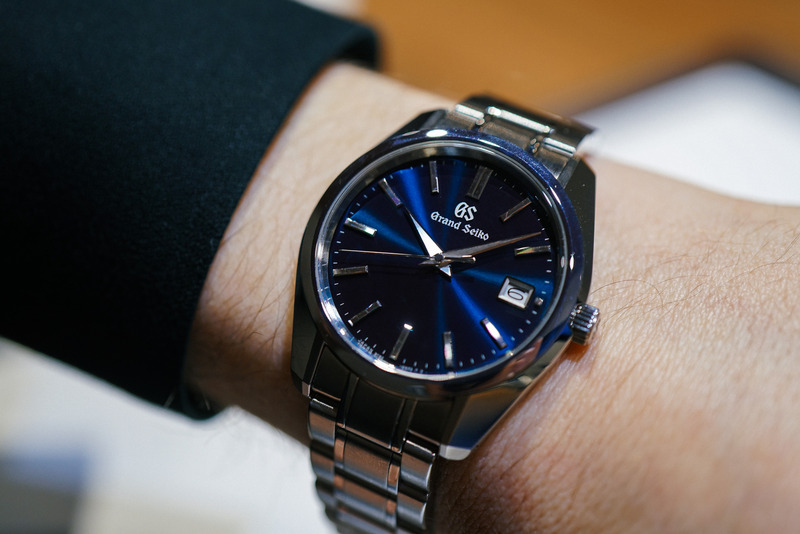 As has been widely documented at Baselworld this year, Grand Seiko had two big milestones to celebrate, with the 20th anniversary of the 9S mechanical movements and the 25th anniversary of the 9F quartz movements, so the brand had very good reason to come out swinging – and swing they did, with highly limited and desirable options for each. 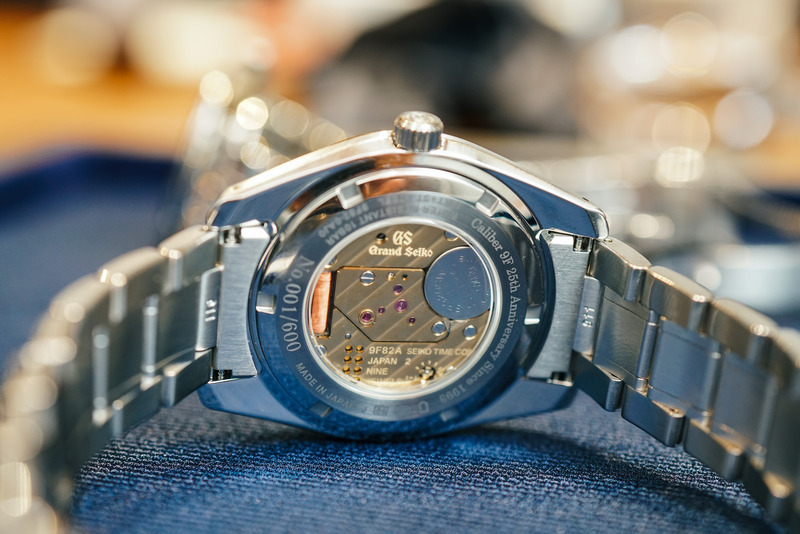 The 9S got a particularly unique treatment, with three special movements fitted into a new thin Zaratsu-polished case and finished with a unique dial for each – starting with the SBGH267G in steel, pictured above. 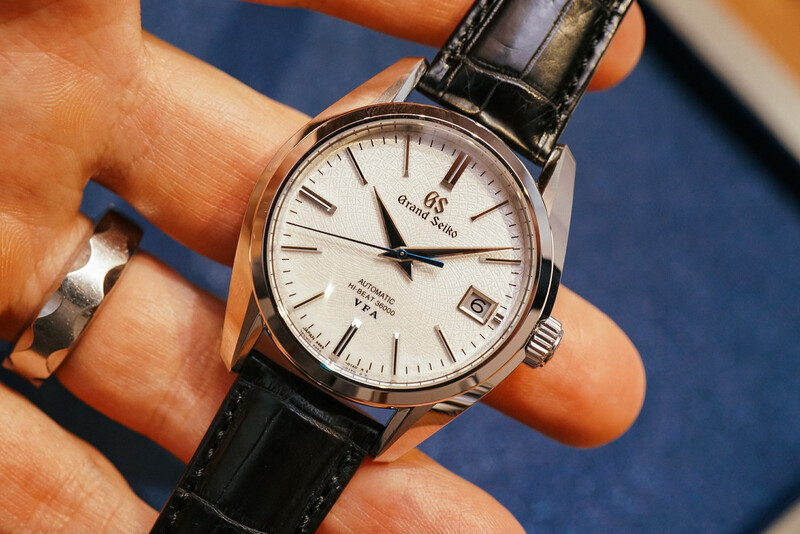 Fitted with Grand Seiko's Hi-Beat 9S85 movement which has been adjusted to +5 to –3 second accuracy, this reference best illustrates the new dial pattern; a mosaic that repeats the 'GS' initials alternating between the lighting bolt mark used by Seiko (then called 'Daini Seikosha') in the 1960s. Also bearing that motif and movement, but in the new case crafted from yellow gold is reference SBGH266J – which differs not only in case composition, but in accuracy. This 9S85 Hi-Beat movement has been adjusted to +4 to -2 seconds, denoted by 'Special' on the dial. 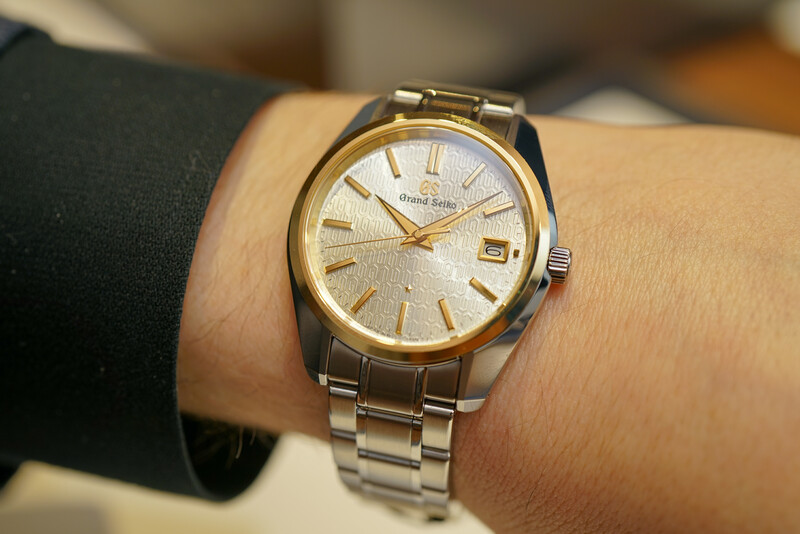 And then there's the creme de la creme between the three: the SBGH265J rendered in platinum, with a 9S Hi-Beat movement regulated to an astonishing +3 to -1 seconds, delineated by the "VFA" (Very Fine Adjustment) on the dial. 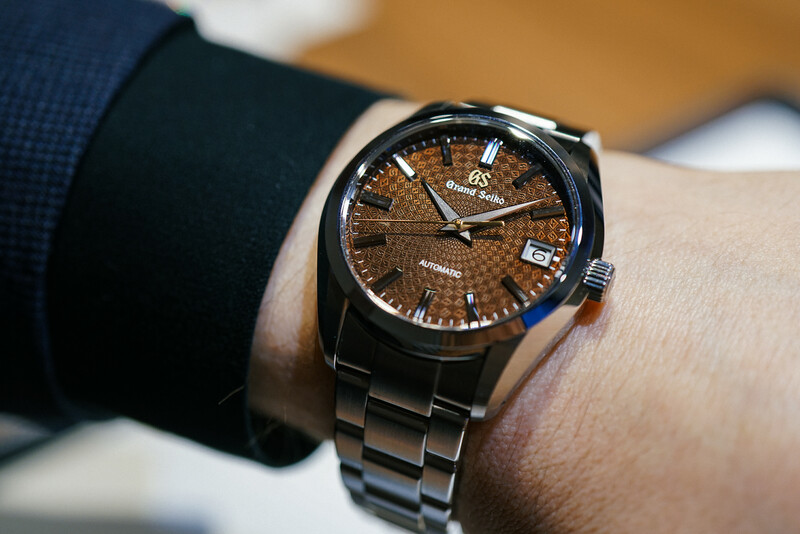 Though not officially part of the 'trio' of 9S watches above, there was also the limited edition and mercurial SBGR311, which probably has the most in common with the blue SBGH267G above with the same Zaratsu-polished 42mm stainless steel case, but with a gorgeous chocolate or bronze-colored dial (depending on the light) which also bears the repeating 'GS' and Daini Seikosha motif outlined above. However, this reference is fitted with the 9S68 movement, which is a 9S-series calibre, but not Hi-Beat – it runs at the more traditional 4Hz (28,800 VPH), unlike the 36,000 VPH on all three of the aforementioned. 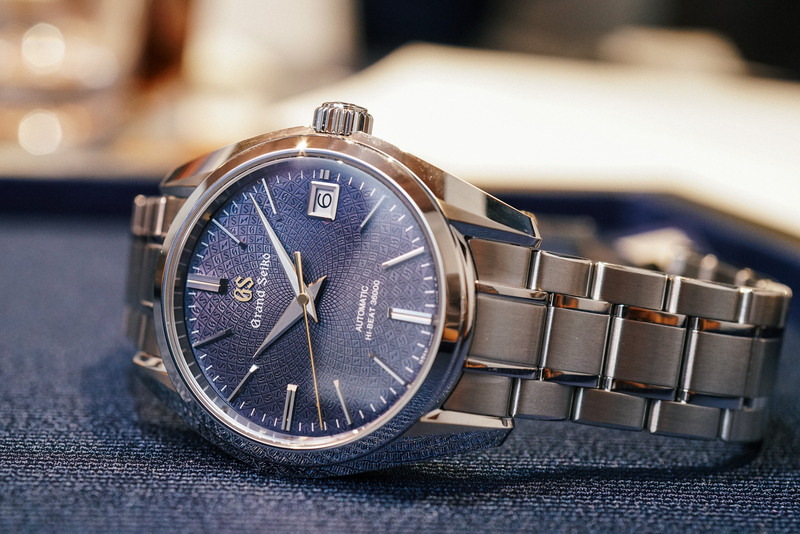 On to the 9F quartz side, Grand Seiko introduced two references to celebrate 25 years of this groundbreaking movement: the SBGT241G in stainless steel on a beads-of-rice bracelet, and SBGV238G with a yellow gold bezel, three-link bracelet and a sapphire glass caseback through which the incredible hand-built 9F82 movement can be viewed. 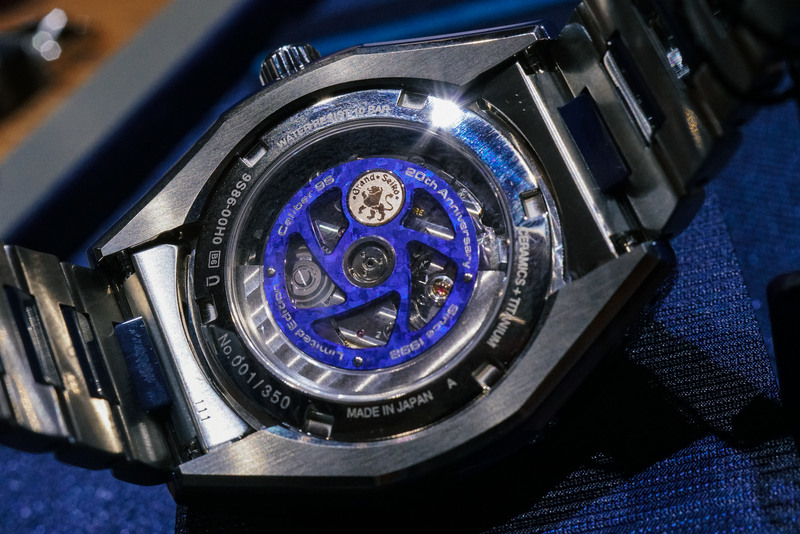 That's right – this quartz movement is every bit deserving of a sapphire caseback! Look closely at the dial, and you'll notice a five-pointed star, and another repeating pattern: the star to symbolize the movement's accuracy rated to ±5 seconds a year, and the motif based on the characters 'GS9F' while simultaneously mirroring the design of Seiko's original 'Quartz' symbol historically used on the dials of its watches. 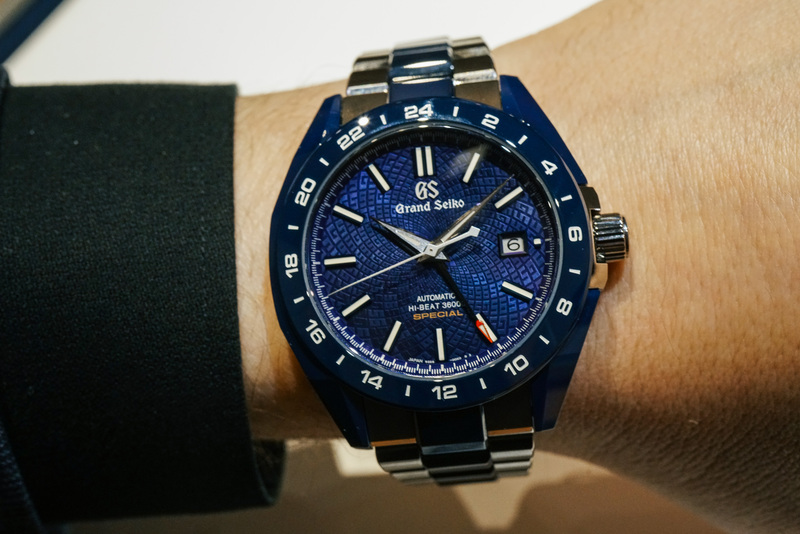 In addition to the special anniversary pieces, there were several beautiful beautiful new in-line Grand Seiko pieces, including SBGV239, another 9F Grand Seiko Heritage reference with an incredible blue dial, and the sporty new SBGJ229 rendered in titanium and blue ceramic – a first for Grand Seiko. Both of these should be landing at Topper quite soon. 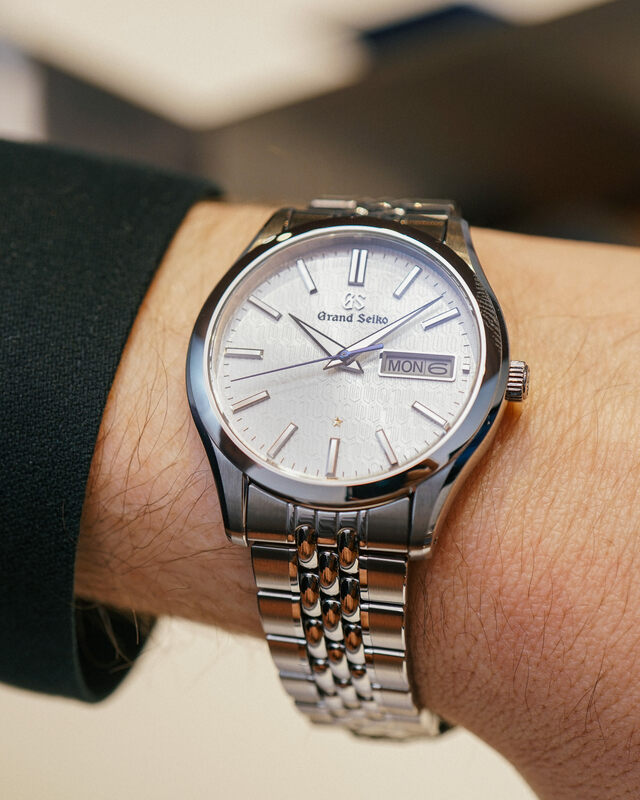 Stay tuned, as we have more on the Grand Seiko collection, including a video overview from Miami Grand Seiko boutique manager Joseph Kirk, so stay tuned! 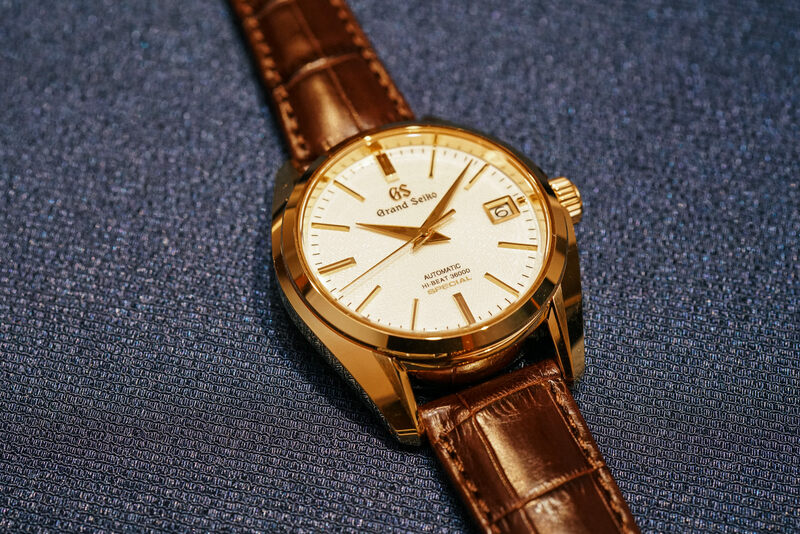 Otherwise, if you have any questions about pre-order availability for the new models, visit our new Grand Seiko Pre-Order Central page to reserve one directly online, or email us at info@topperjewelers.com. If you don't see your desired watch in the Pre-Order Central, don't worry, just call the shop at 888-730-2221, and we'll be happy to assist you. 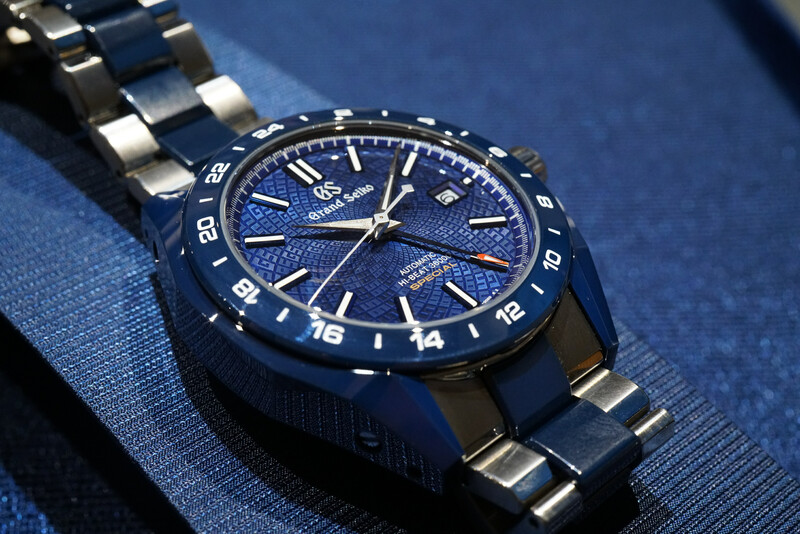 For the latest in the rest of Topper's show coverage, head over to our Baselworld 2018 page!